The motorcycle club whose members were at the vanguard of Russia's occupation of Crimea, nicknamed "Putin's Angels" by the media, is on the road again. Members of the Night Wolves were due in the capital of Bosnia-Herzegovina's Serb-majority entity Republika Srpska, Banja Luka, on March 21 and were expected to hold a press conference in the Serbian capital, Belgrade, around a week later. They have planned or taken provocative rides before -- including a Victory Day trip to Berlin and a candlelighting at Katyn, where Josef Stalin is said to have ordered the execution of tens of thousands of Polish officers during World War II -- and are targeted by U.S. and Canadian sanctions for their thuggish support of nonuniformed Russian forces during the takeover of Crimea in 2014. The group's agenda during its tour of what it calls the "Russian Balkans" remains unclear, and it is hard to know whether it somehow reflects Kremlin geopolitical goals or just a solid effort at trolling. Atlantic Council senior fellow Dimitar Bechev recently argued that while Russia is increasingly active in the Western Balkans, its influence is not as great as generally believed. Promoting his new book Rival Power: Russia In Southeast Europe at the London School of Economics, Bechev expressed concern that Western media were obsessed with the idea of Russia as a "partner-turned-enemy" in the Balkans and the Middle East. "In reality, if Russia was increasingly present in the Balkan region, it was not always because it was imposing itself but because local powers and elites were engaging Russia to serve their own domestic agendas," Bechev said. The Slavic culture and the Orthodox faith of many of the region's inhabitants have also meant that the "narrative structure [already] tends to favor Russia" in the Balkans and makes it fertile ground for the possible exercise of Russian "soft power." But Jasmin Mujanovic, author of the book Hunger & Fury: The Crisis Of Democracy In The Balkans, is less certain that Russia's influence in the region has been overstated. "Russia's influence in Bosnia and the Balkans is obviously not as significant as it is in its immediate 'near abroad.' But that does not mean Moscow does not have concrete strategic aims in the region, aims which from the perspective of the political and democratic integrity of local polities are incredibly destructive." According to Mujanovic, the combination of clear Russian objectives in the region and the desperation of some local politicians to cling to power (such as Republika Srpska President Milorad Dodik) makes for an explosive mix. "[O]ne does not militarize their police, or hire paramilitaries, or purchase missiles if they are not prepared to use them," said Mujanovic. He suggested that some individuals were prepared to use violence to sabotage the Bosnian elections in 2018 and "counting on support from Russia and assorted Russian proxies to do it." He did not provide specific evidence of any such plans. 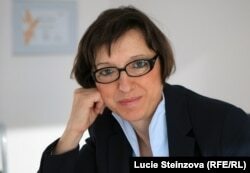 "Russia's objective is simple: Keep Bosnia out of NATO and the EU," Mujanovic added. "Moscow wants to ensure that the country remains an ethnically fragmented basket case in the heart of the Balkans." Into this volatile context ride the Night Wolves. On their Facebook page, the Russian bikers said their nine-day tour through Bosnia and Serbia would cover 2,000 kilometers after leaving Belgrade on March 19. Two of the Night Wolves have been denied entry to Bosnia on security grounds, including the group's leader, Aleksandr Zaldostanov, aka "The Surgeon." Following their role in the Ukrainian conflict, the Night Wolves were blacklisted by the U.S. Treasury in 2014 and a year later prevented from riding through Poland on their way to Berlin to mark the 70th anniversary of the Allies' victory over Nazi Germany. Yet these concerns apparently are not shared by authorities in Serbia and in Republika Srpska, in Bosnia. "The different perceptions of the [Night Wolves'] tour are a reflection of the Balkan political landscape, including differences in relations with Russia," Belgrade-based analyst Bosko Jaksic told RFE/RL's Balkan Service. "Republika Srpska in particular is a bastion of pro-Russian sentiment and currently the main focus of Russian activity in the Western Balkans," Jaksic added. "In Serbia, meanwhile, there are numerous organizations, groups, associations, and even political parties that do not hide their admiration for Russia. [This tour] among other things should serve as a warning that Russia is ramping up its influence, relying both on existing local support and using every available means and avenue to project its soft power." Jaksic said he believes the Balkans became a key part of Moscow's strategic agenda following the onset of the Ukrainian crisis and is now a target for its soft-power arsenal. "These so-called 'Putin's Angels' are undoubtedly a part of a very political agenda," Jaksic said. It appears that in Republika Srpska, where only around half of the population has access to the Internet, trolls must deliver their message in person. "The leader of the Night Wolves...uses his motorbike like a scalpel to make an incision and separate parts of the Balkans from the West, bringing them closer to Russia. He does so while preaching pan-Slavism and Christian Orthodoxy, two favorite themes of Russian propaganda," Jaksic said. While the West equivocates over the Balkans, Mujanovic complained, "Moscow and Banja Luka will not squander an easy opportunity to 'create new facts' on the ground," adding that even a small dose of violence could be fatal to "a polity already as fragmented as Bosnia." "This," Mujanovic said, "is the most significant threat to the Dayton peace [accords] since 1996." Not long ago, during an extensive dive into my e-mails in search of a friend’s address, I came across a story forwarded to me by journalist Remy Ourdan. He invariably picks out the most interesting stories coming out of the Balkans, and the headline immediately caught my attention: Serb President Bans Teaching About Sarajevo Siege, Srebrenica. I did not realize at the time that I was at the wrong end of my inbox, and failed to notice the dateline of the story. Perhaps I was just too dumbfounded, and puzzled at how the president of Republika Srpska could ban teaching about the siege of Sarajevo and the Srebrenica genocide -- as if these topics were even part of the school curriculum in his entity. After reading the article, I realized that the unsettling past would henceforth not be taught even in classrooms including Bosniak kids in Republika Srpska. “It’s impossible to use here the textbooks...which say the Serbs have committed genocide and kept Sarajevo under siege,” Milorad Dodik was quoted as saying in the article. I promptly tweeted the story. The following day, the story had been retweeted several hundred times -- and that's when I noticed that it had been published nine months ago. Somewhat embarrassed, I was about to tweet an explanation, and an apology for having missed the fact that the Reuters story was from June 2017. But before doing so, I read through the deluge of retweets. I was fully expecting a backlash for my social-media faux pas. However, to my surprise, most comments -- even those that pointed out that the story was old -- were expressions of concern for a country that refused to deal with its past, and were critical of Dodik. “When you don’t know your past, it is inevitable to repeat it,” one of the retweets said. Ivana Cvetkovic made an excuse for me and praised me for reposting the story at a time when Dodik appears to be rearming Republika Srpska. Many thought that the news was fresh. When it was published, in June 2017, the Reuters article went almost unnoticed. However, thanks to Dodik’s actions and statements over the past few months, it seemed like fresh news and generated an avalanche of comments. I must still own up to having posted old news. But the overwhelming response has been yet another reminder that errors can be useful and often lead to new awareness. In this case, “old news” came as a fresh warning of the growing fragility of peace in Bosnia.